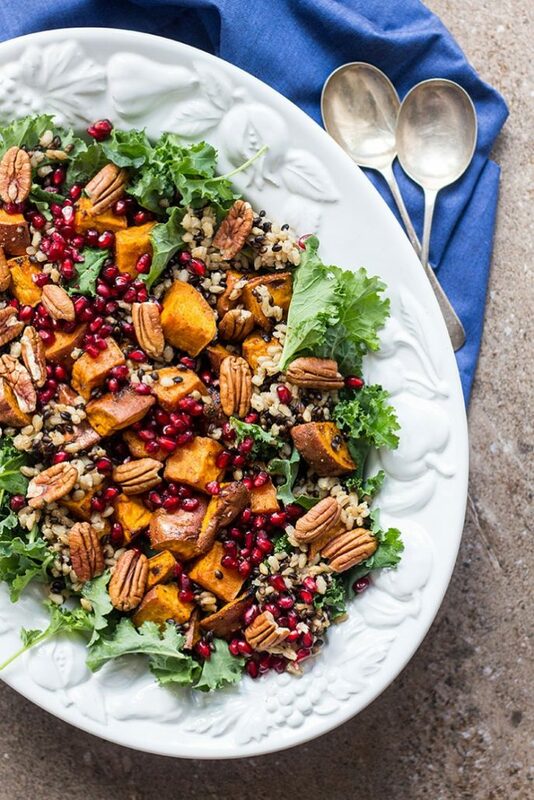 In the midst of buying gifts and going to holiday parties, it’s easy to forget to plan your own holiday dinner. 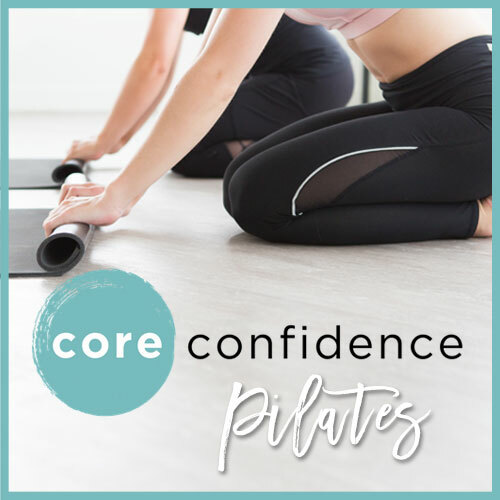 But don’t worry – I’ve got your back! 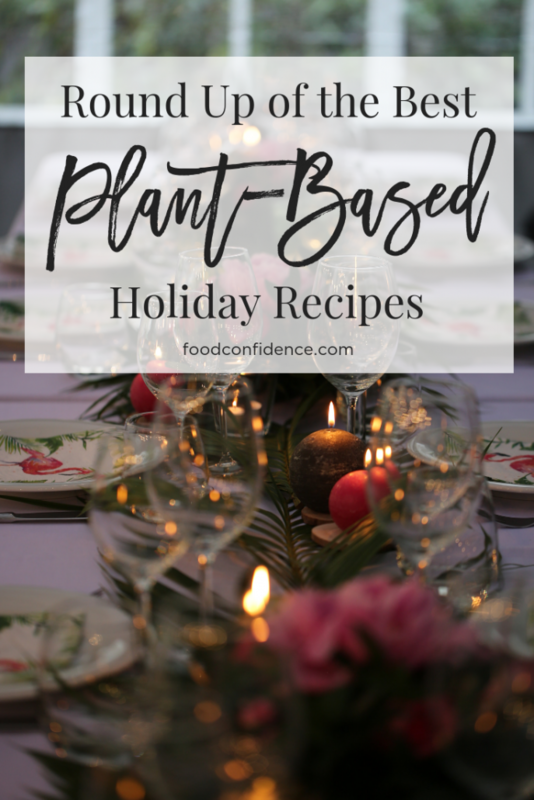 Here are a few of few of my favorite tried-and-true, plant-based holiday recipes. Do you love a good breakfast casserole on Christmas morning? 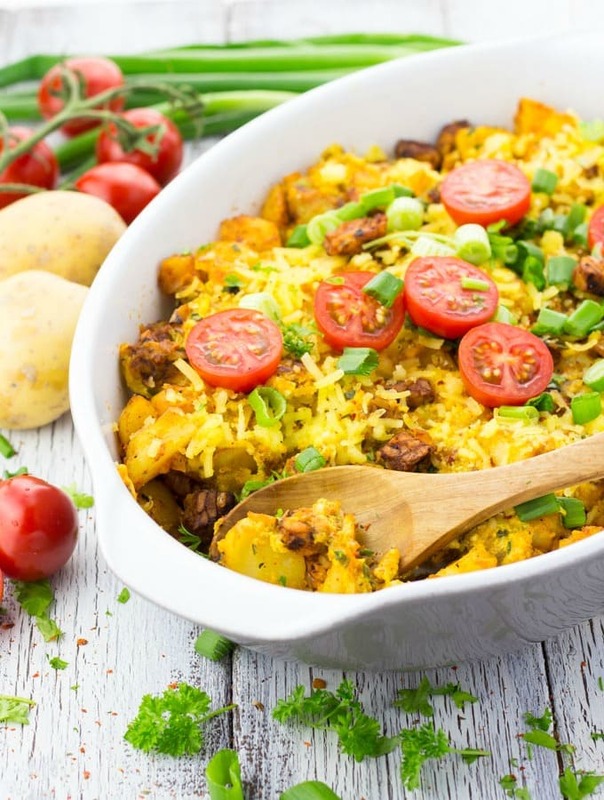 This plant-based breakfast casserole is tasty all year round, but I especially love making it for the holidays. There’s something extra special about eating a breakfast casserole in your Santa PJs! When my family gets together for holiday dinners, we always kick things off with a salad. When I was a kid, this meant a typical salad with spring mix, cucumbers, shredded carrots, croutons, etc. It was good, but definitely not seasonal. When I host dinner on Christmas Eve, I try to mix things up and make a festive salad. 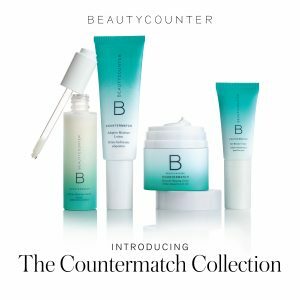 This butternut squash one is a favorite! I love the pop of color from the pomegranate seeds! Can you sense a theme here? I love using pomegranate seeds this time of year. 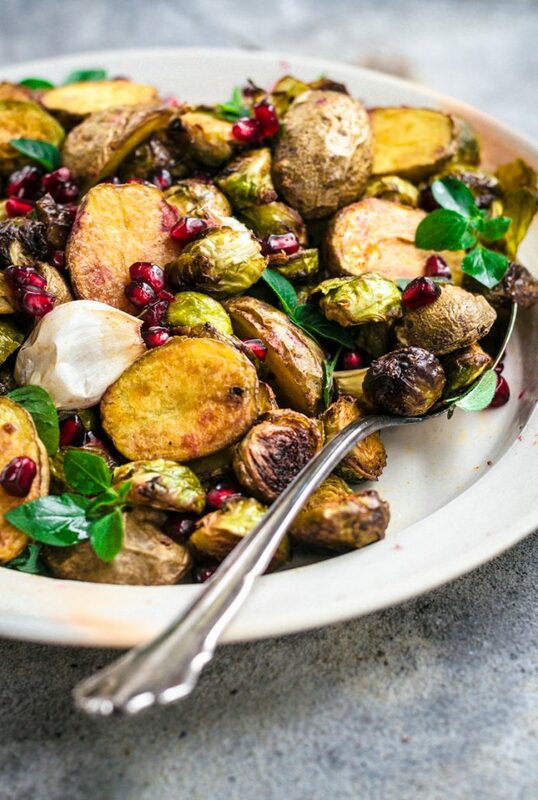 This spicy new roasted potatoes and Brussels sprouts recipe is no exception! This is a super savory side dish with a pop of sweetness from the pomegranate seeds. 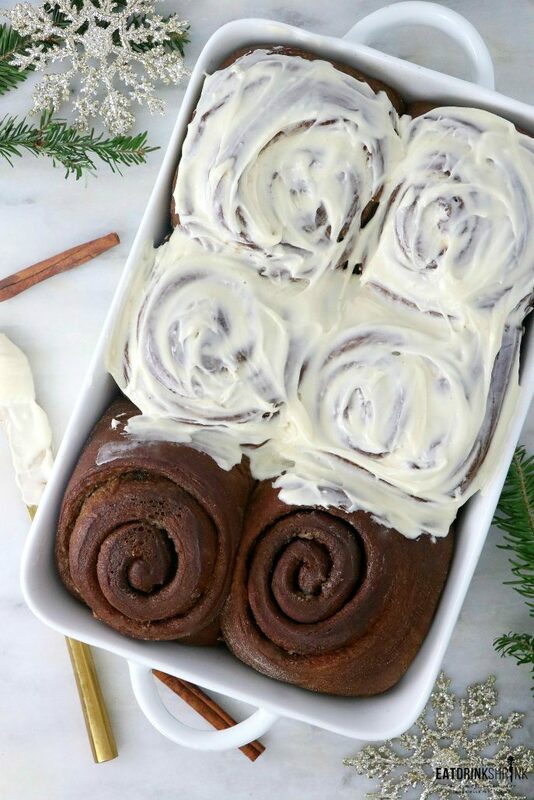 Sweet and spicy holiday edition! 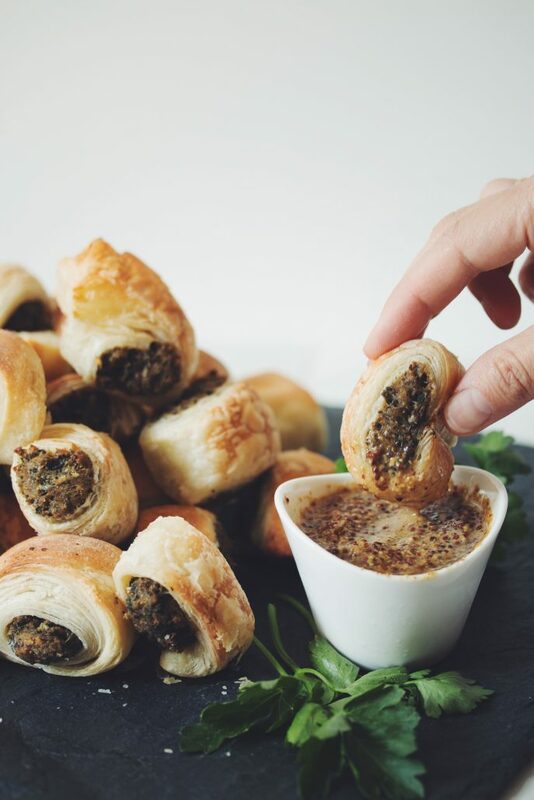 Now this is a fun appetizer to make – and eat! These are great for the meat-eaters in your family because they’re hearty and look like real sausage. I recommend telling everyone that they’re vegan after they eat them. Just for kicks and giggles! It wouldn’t be a holiday dinner table without fresh biscuits. 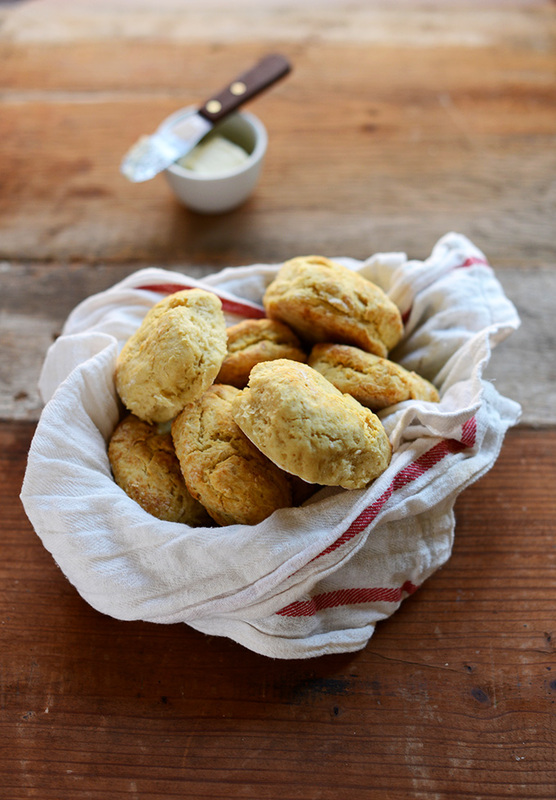 While it takes a little bit more effort to make, nothing beats biscuits from scratch. 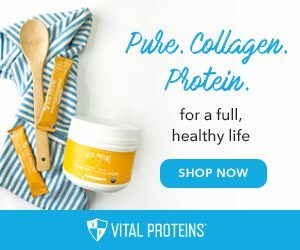 It helps that this recipe is super simple to make! This is a fun twist on string bean almondine! 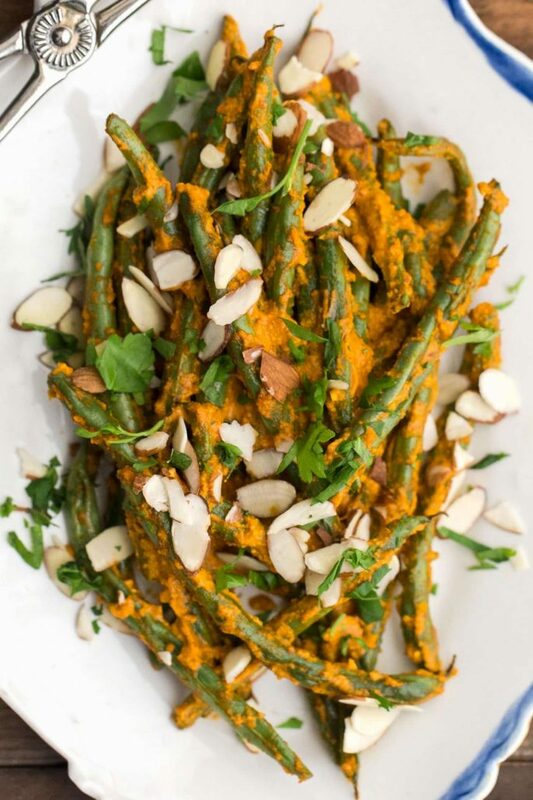 I love traditional string bean almondine, but this roasted green bean dish with romesco and slivered almonds really knocks it out of the park. This is the perfect side dish to impress! 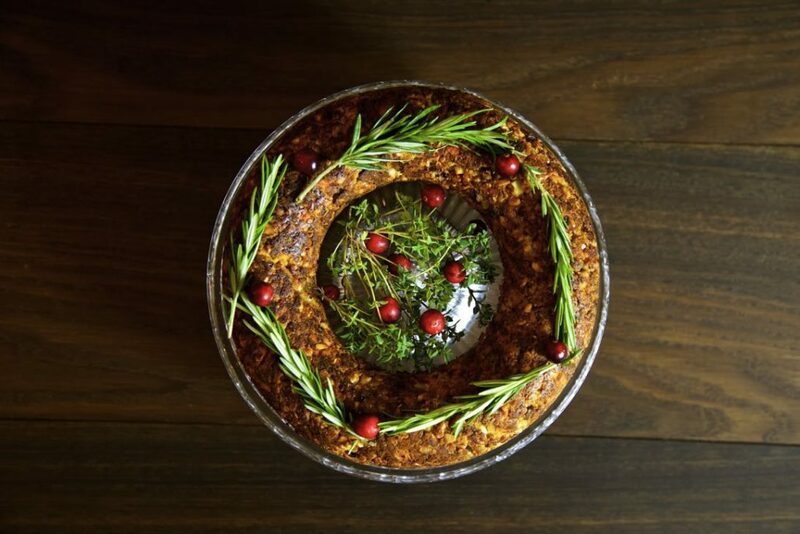 This chestnut and cashew nut roast is quite possibly the most holiday themed recipe you can make this Christmas. 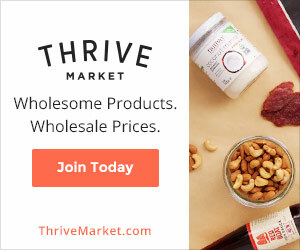 It’s full of winter produce, absolutely delicious, and super fun to style like a wreath. 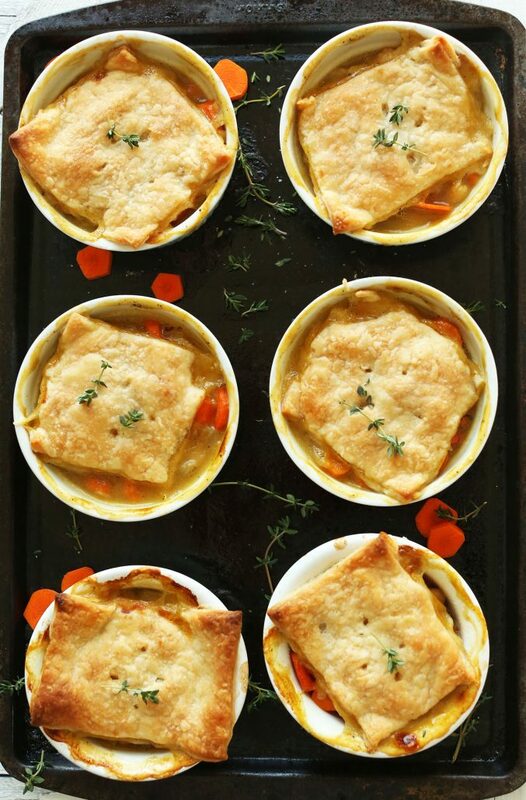 The next time you host a more intimate get together with a few friends, try making these individual pot pies. They’re so comforting and they present really well! And who doesn’t love a pot pie? 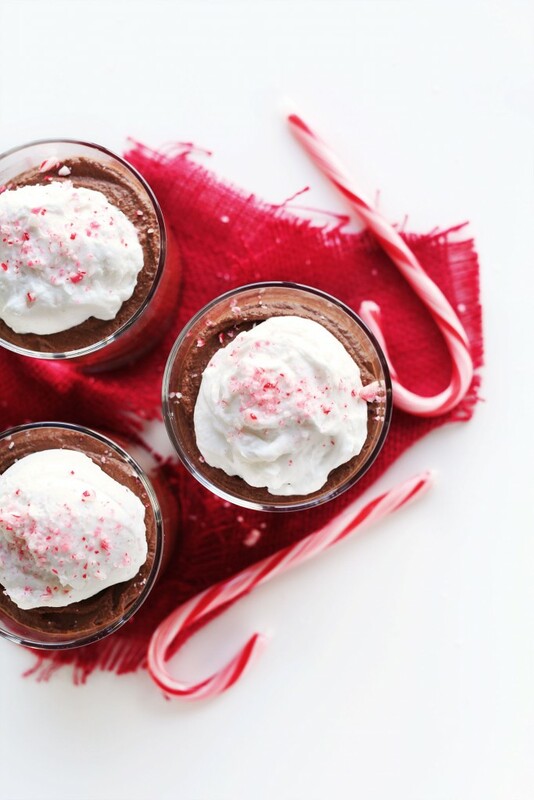 Having a cup of this dark chocolate peppermint mousse is the perfect way to wrap up your holiday dinner party. Everyone loves dark chocolate and the hint of peppermint screams Christmas. 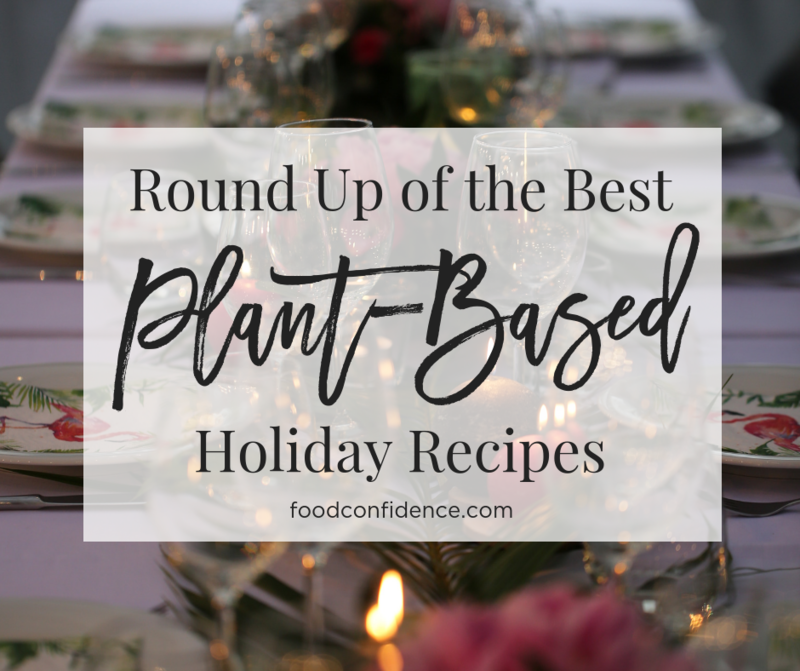 Last month, I compiled a list of my favorite plant-based Thanksgiving recipes. 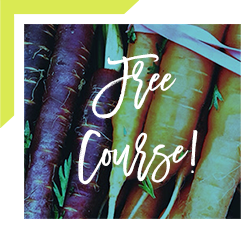 Luckily, there’s lots of crossover between Thanksgiving and Christmas holiday recipes so check that one out for even more inspiration!